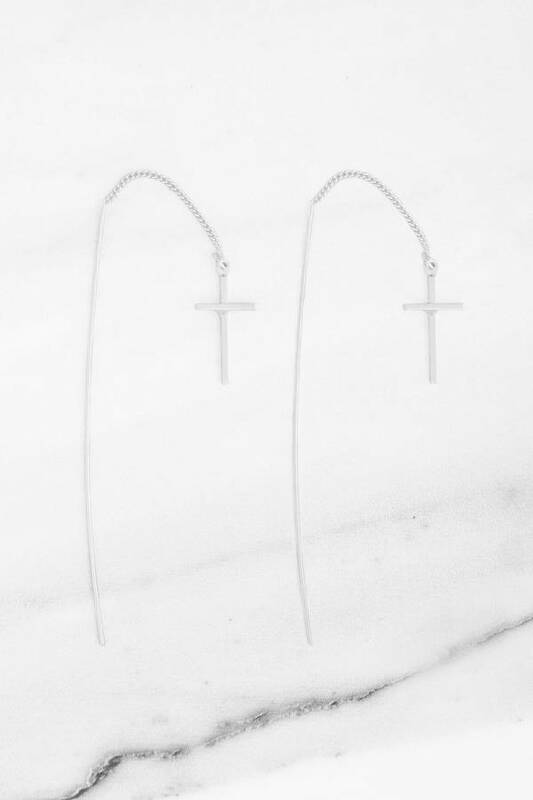 Check out Tobi's Cross The Line Dangle Earrings Cross the line into minimal chic with a pair of edgy earrings. The Silver Cross The Line Dangle Earrings have a long back stem, with a slim cross charm dangling from a chain at the front. Statement earrings at their most understated. Cross the line into minimal chic with a pair of edgy earrings. The Silver Cross The Line Dangle Earrings have a long back stem, with a slim cross charm dangling from a chain at the front. Statement earrings at their most understated.